Transmission: Automatic Color:Black Interior Color: Black Average Vehicle Review: (4 reviews) This car has been the worst vehicle I've ever owned. I've had to have it towed multiple times because of engine issues, fluid leaking etc.. Currently the vehicle is being worked on to repair the same engine issues it had a year and a half ago. 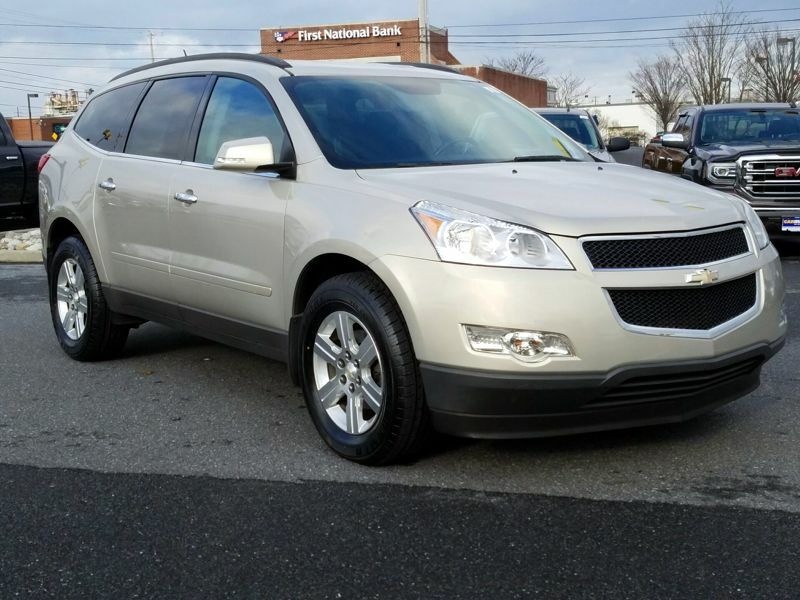 There are MULTIPLE known issues with the 2009 Traverse with there being a GM warranty in place to cover those issues even though the car is so old. Luckily I got the extended warranty when I purchased the vehicle and that has covered non known issues but I've still had to pay a $100 deductible each time. Est. the warranty company has paid more than $10k in repairs on this car since 2015. The 09 GMC Acadia is the sister of the Traverse and has the same issues. I would avoid this car like the plague. 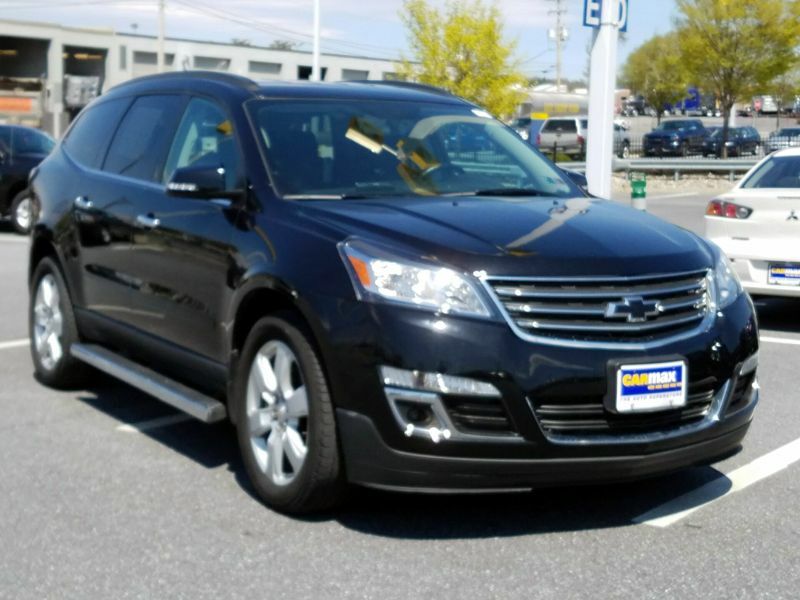 Transmission: Automatic Color:Black Interior Color: Black Average Vehicle Review: (4 reviews) I bought the Traverse to replace my 2014 Honda Pilot. I was looking for an 8 seat SUV with s similar overall size to my Honda Pilot, but with some additional legroom for my growing kids. There is a noticeable amount of increased leg room in all rows, with the 3rd row being much better than the Pilot. This was my biggest reason for going for the Traverse. 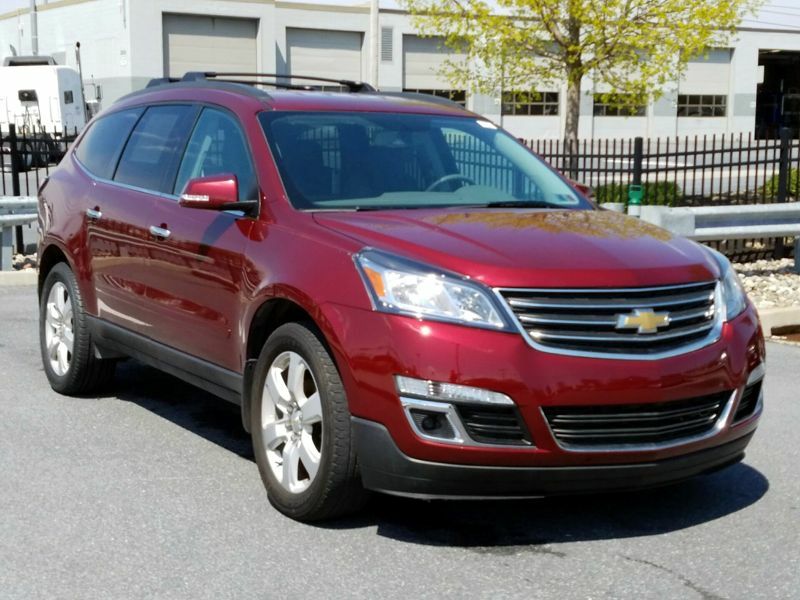 The Traverse, AWD version, has increased towing capacity over the Pilot as well. I also like the infotainment system better than what I had in the 2014 Pilot. 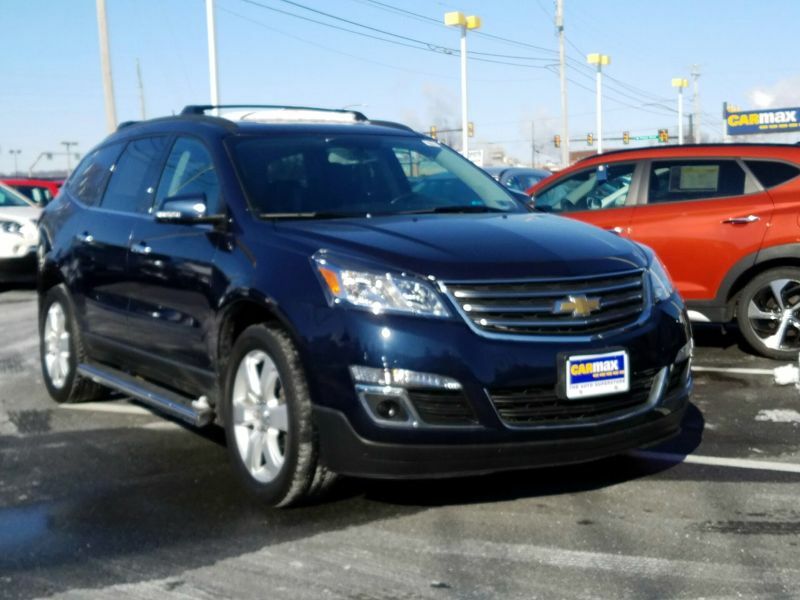 Transmission: Automatic Color:Blue Interior Color: Black Average Vehicle Review: (4 reviews) My Chevy Traverse is one of the best buys that I have purchased in a long while. From the outside the mid size SUV looks small, but once you are in the car you can really appreciate the size. Three row seating, enough room to carry all 4 of my children with room to spare. 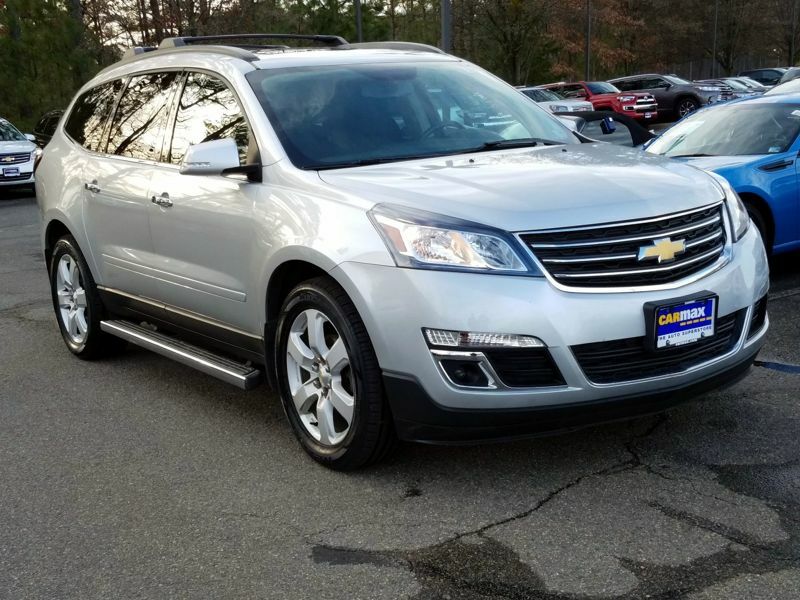 I love my TRAVERSE!!! 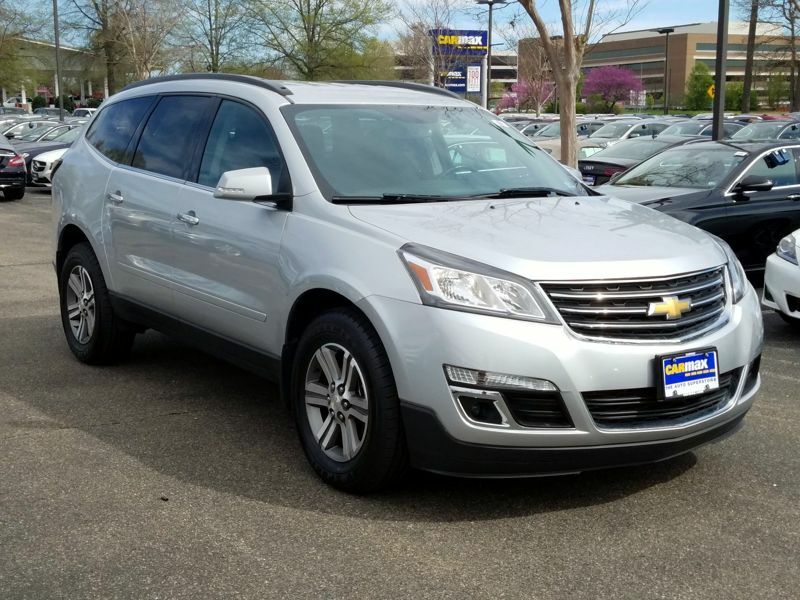 Transmission: Automatic Color:Silver Interior Color: Black Average Vehicle Review: (4 reviews) We bought this SUV to carry our kids and grand kids in one vehicle, seats 7. Our grand daughter lives 2 hours away. 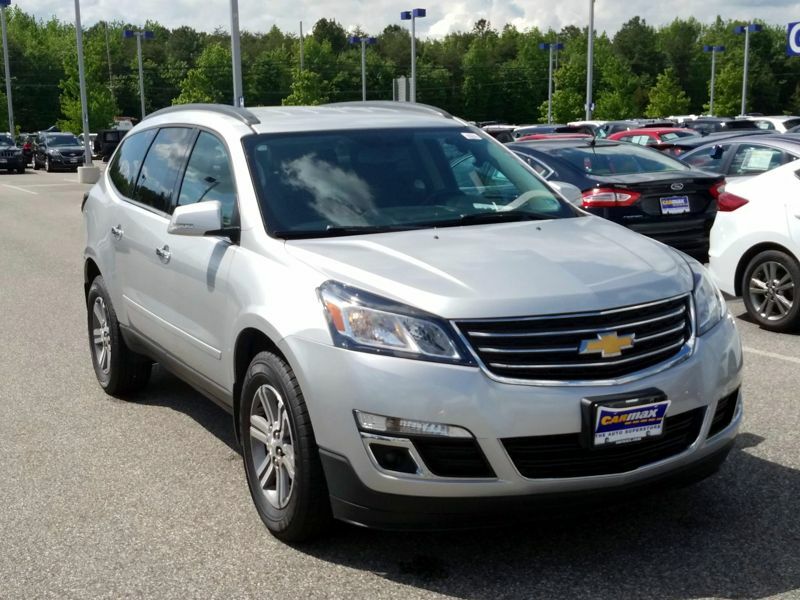 Our Traverse gets 19-21mpg. 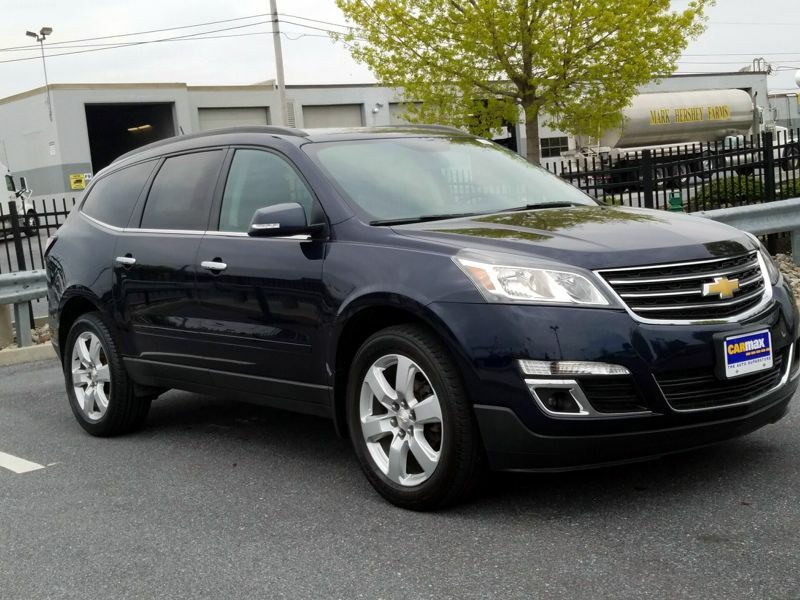 We have a 18' boat and our Traverse has a 5400lb towing cap. Our Traverse has a built in DVD player with wireless head phones (that I call a child saver ). 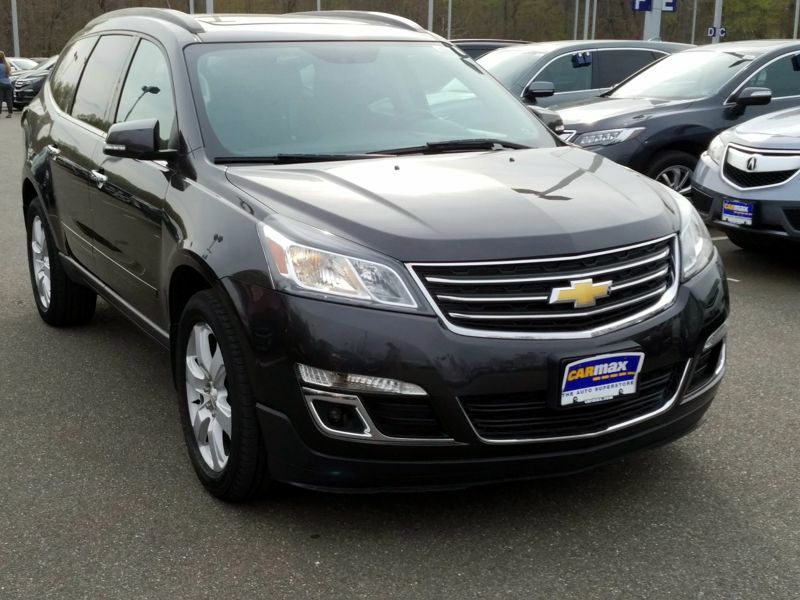 Transmission: Automatic Color:Silver Interior Color: Black Average Vehicle Review: (4 reviews) My wife and I were shopping for an SUV because she grew tired of minivans. 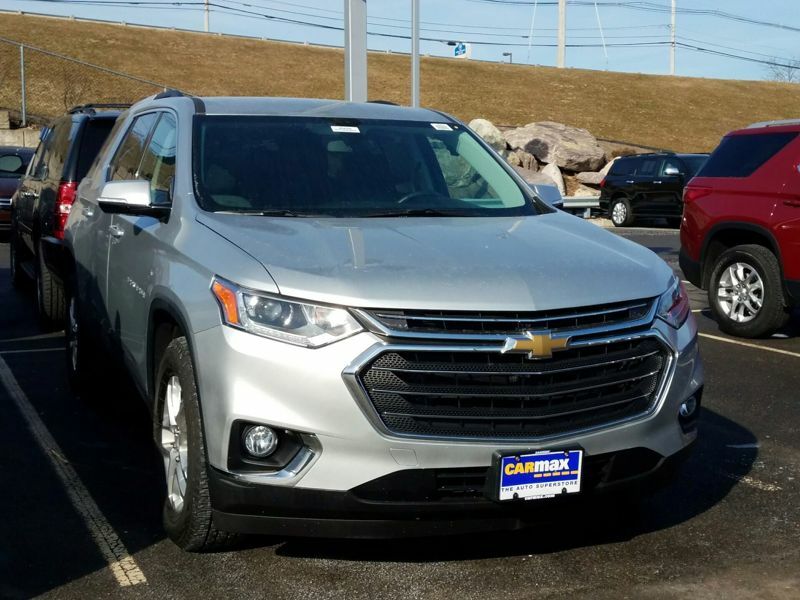 She saw a traverse and fell in love. She likes being up off the pavement higher than the van and likes the third row seat. She also likes how the seats in the rear and middle fold forward flat for hauling large items. Me being mechanically minded had questions about the traverse's 3.6L engine. I found some reports of the timing chain jumping out of time. I researched and talked to 3 or 4 mechanics. Two who work for a Chevrolet dealer. They told me that changing the oil regularly (about 4 to 5k miles on full synthetic which is what the manual calls for) will keep the chain running smooth. Fuel mileage is good at about 22 on the interstate. Ride is comfortable. Transmission: Automatic Color:Gray Interior Color: Black Average Vehicle Review: (0 reviews) This car is perfect for a family! It's big, safe and versatile. Gas mileage is decent for an SUV. I love the features. Heated seats, the automatic tailgate and OnStar are my favorite. The only thing I wish the car had is Lane assist. There is a huge blind spot that makes it hard to switch lanes. 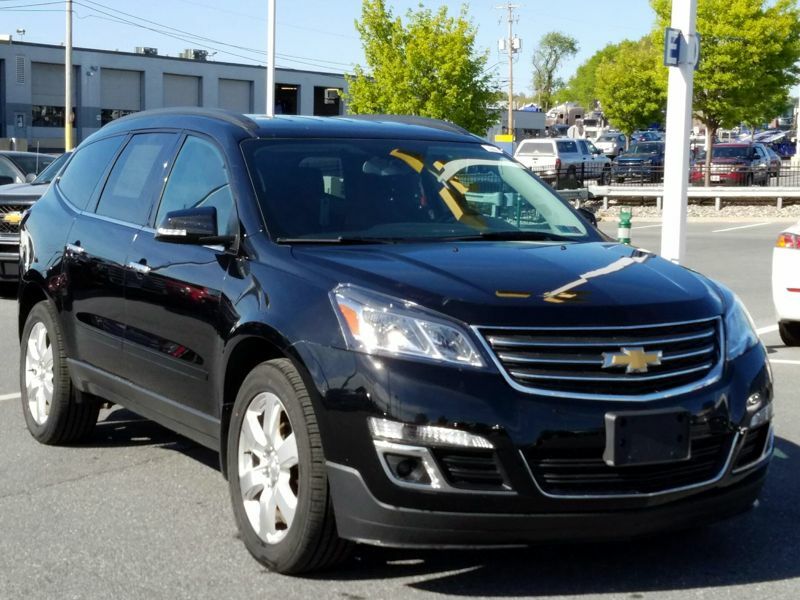 My next car will be a traverse and it will have parking assist and lane assist. Transmission: Automatic Color:Silver Interior Color: Black Average Vehicle Review: (4 reviews) We have had our car for 4 months and have had to already put $1,000 into it for repairs. The a/c condenser in the rear air went out a week before vacation. While on vacation the transmission started acting up and shifting hard. Also, the right front strut is going to need to be replaced. We sold my 4runner so that we could buy a newer vehicle with less mileage to avoid having problems that an older vehicle has. This car barely had over 50k and all of these problems already. I would expect it with an older car, but not this new. Disappointed to say the least. Transmission: Automatic Color:Gray Interior Color: Black Average Vehicle Review: (4.391 reviews) Our previous car was a Mazda Tribute SUV which we loved, but after inspecting and test driving the Traverse we elected to upgrade to something with more cabin space, more cargo space, more comfort, far quietly and more safety. The only thing we miss about the Mazda was the gas mileage and that's a small sacrifice to make in order to gain everything we gained from the Traverse. We have always owned Mazda in the past, but the Traverse has made us believers in American made again. 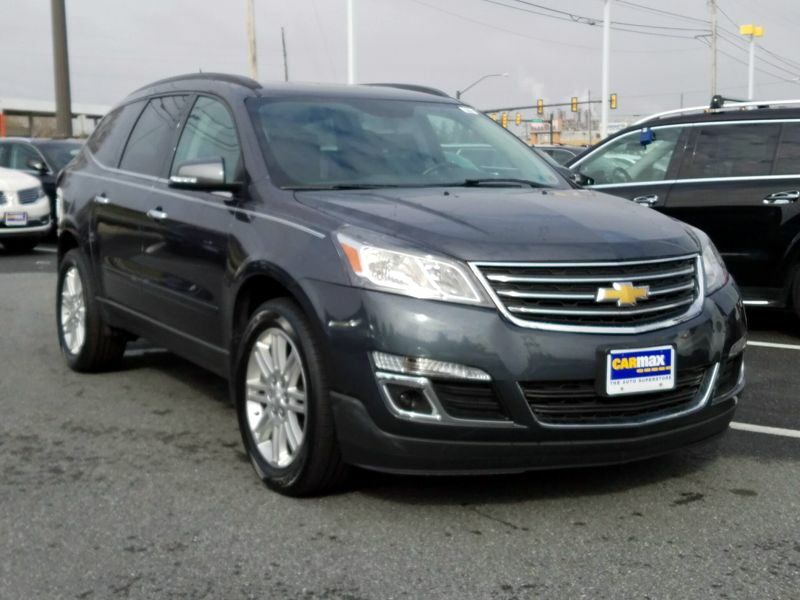 Transmission: Automatic Color:Gray Interior Color: Black Average Vehicle Review: (4 reviews) This is a great suv crossover! We were planning on buying a Tahoe or Suburban for the seating capacity. 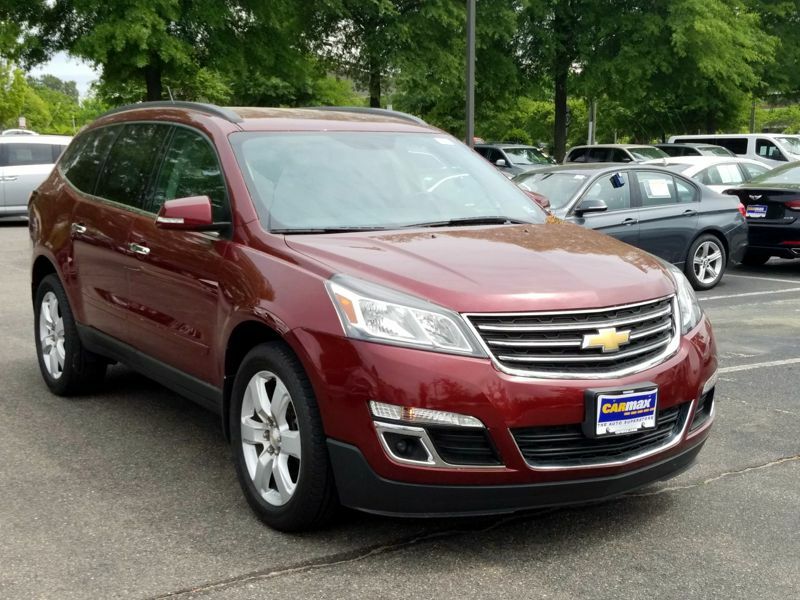 The prices were so high so we decided to give the Traverse a try. We fell in love with it and are so happy we gave it a chance. The gas mileage is much better than the SUV as well! Transmission: Automatic Color:Black Interior Color: Black Average Vehicle Review: (4 reviews) I couldn't be happier with my new car. It is everything I ev er wante d and more.  Transmission: Automatic Color:Gold Interior Color: Black Average Vehicle Review: (4.357 reviews) It's perfect for what we intend to use it for....camping/pulling a small trailer. Looks good; comfortable. 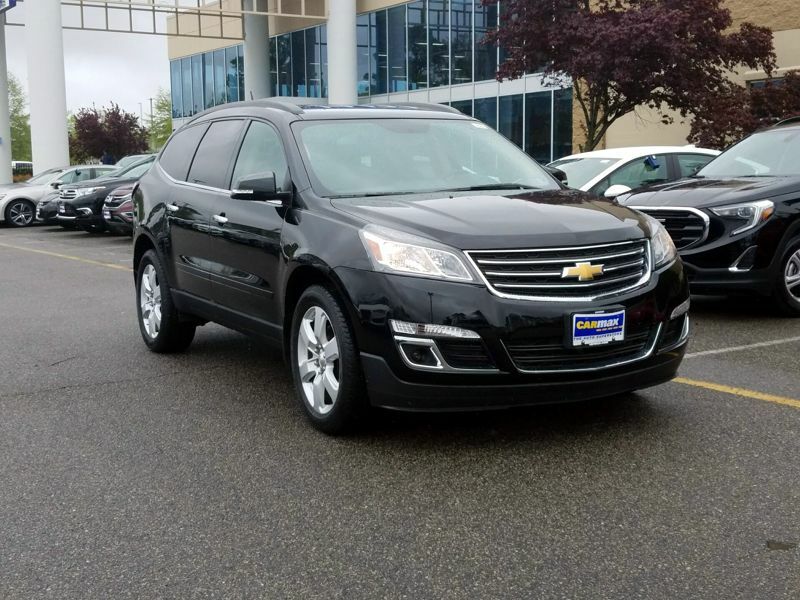 Transmission: Automatic Color:Black Interior Color: Black Average Vehicle Review: (4 reviews) Have had my Traverse LTZ for 11 months now (7800 miles) The handling characteristics are superb and a joy to drive on a trip. Gas mileage is another thing, the sticker says I should get 17mpg town and 24mpg highway. This is completely false, I have NEVER gotten more than 16.5mpg overall after a trip (town and highway) and 19.7 on highway driving (3 hour trip). The air conditioner has never worked since day one. 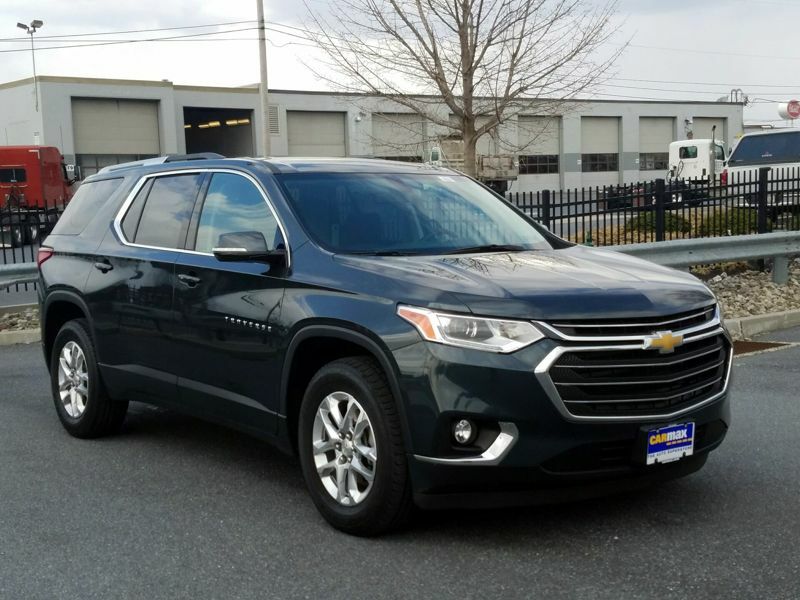 I took a 4 hour highway trip three weeks after purchasing my Traverse and the air conditioner would shut down (blow heat instead of cold air) after about 25 to 30 minutes of driving. The dealer said it was a thermostat and replaced that. 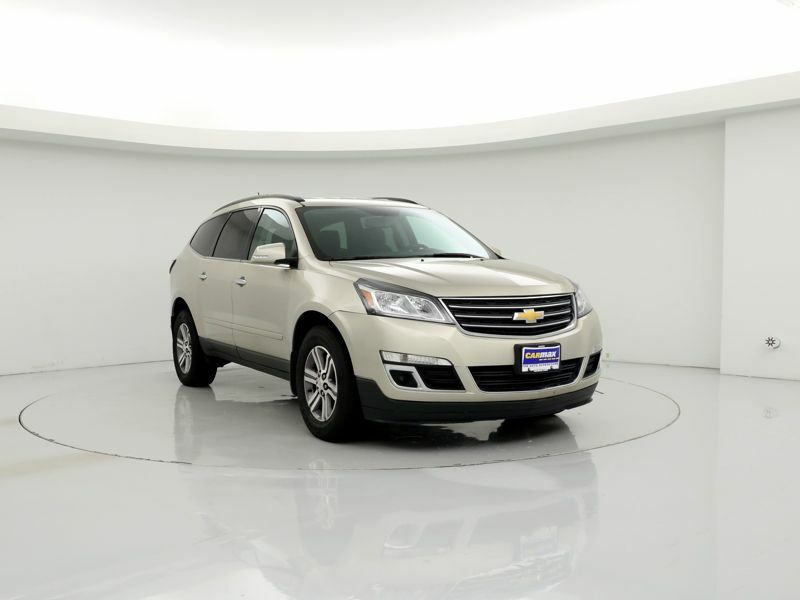 The air conditioner would work fine if you didn't drive the Traverse more than 20 minutes. However two months later I took another trip (3 hour) and the air conditioner did the same thing, (86 degree F day) the air conditioner would (on cue) turn to hot air after 25 to 30 minutes on the road. The blower fan was making a lot of noise but only minute hot air came out of the air vents making our trip miserable. I could turn off the highway park my Traverse and wait 5 minutes then restart the car and the air conditioner would work properly but only for another 30 minutes then repeat the hot air thing. The dealer removed the dash (big project) and replaced or refitted the actuator doors. However the air conditioning did the same thing on a recent trip June '10, cold air vents turned out warm air after 30 minutes of driving. It seemed this happened when the dash temperature was so hot you could hardly touch it without burning your fingers. (so much windshield the sun beats down on the dash) Our dash being black (color) it draws in the heat. Of course the dealer says the hot dash has nothing to do with the air conditioner problem! But he can't dispute the fact that the air conditioner problems us usually happening when driving into the sun! When I took my LTZ back this week (air conditioner problems again) I noticed that there were plastic pieces laying on the front floor mats ... the dealer said it was broken blower fan blades and replaced the blower fan and blades. The dealer said the AC system HVAC case drain was clogged and they removed the clog (second time in few months). Also replaced the AC EVAP sensor. The dealer replaced the above in Aug '09 and again in June '10. Also all four exterior side moldings came loose and the dealer had to replace all four. 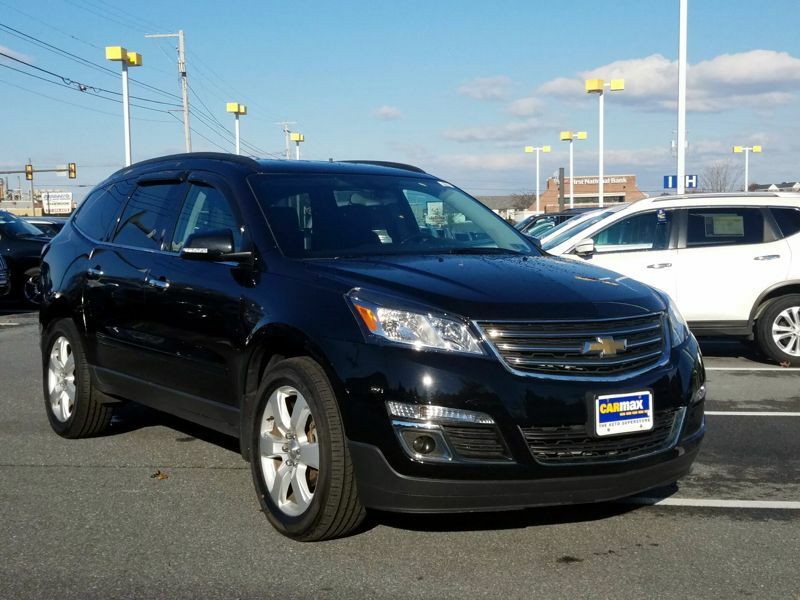 Not sure if I made a good choice in purchasing the Chevy Traverse. 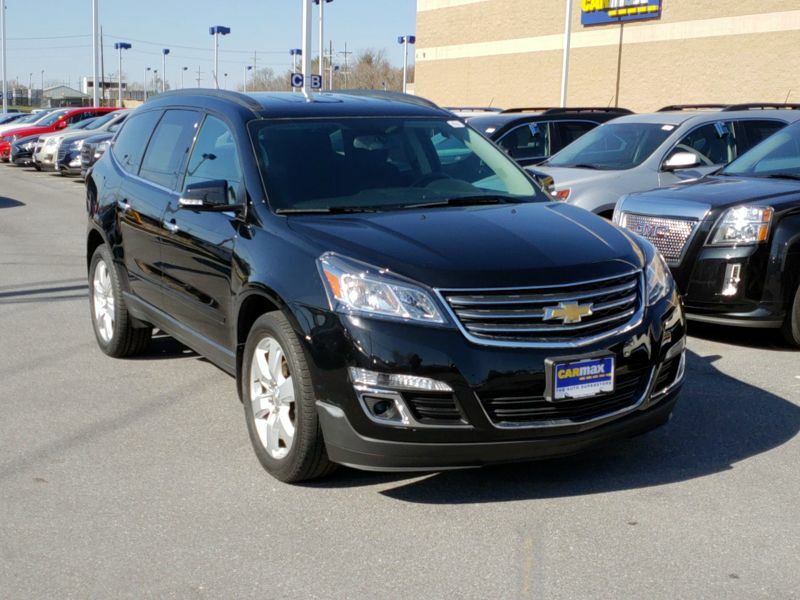 Transmission: Automatic Color:Black Interior Color: Black Average Vehicle Review: (4 reviews) Style, technology, 3rd row laying flat provide great cargo space. Safety.